It seems that where medical weight loss is concerned the rage is some type of bariatric surgery. Now let me first say that these surgeries work well and are often times very necessary but before you attempt any type of surgical procedure it is always best to try to lose weight on your own or with the help of a trained medical weight loss health care provider. In fact there are many people that actually way so much that having the weight loss surgery is not safe for them at their present weight. Because of this many of the bariatric surgeons would refer such a person to a medically supervised weight loss program. In a medically supervised weight loss program you will usually see a medical doctor. The medical doctor will do a review of your medical case history and health history and also review any medications that you are presently taking to make sure that there are no contraindications for doing such a program. After reviewing your history if the doctor thinks you are a good candidate for the program he will then usually perform a regular office examination consisting of reviewing your blood pressure and pulse in checking your heart in your lungs. 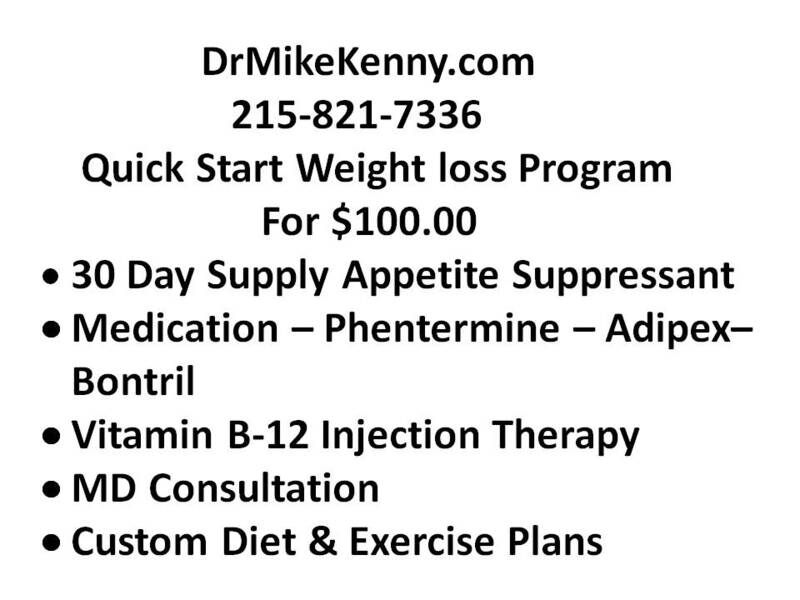 If everything is good the doctor will then give you an appetite suppressant medication and a vitamin B12 injection and then you will be instructed in a nutrition – diet program that is right for you and even an exercise program. Now there are several appetite suppressant medications. The most common name brands are Bontril and Adipex and the generic for these medications are phentermine and phendimetrazine. These medications have been prescribed by doctors for many many years. The most common side effects are dry mouth and constipation. Usually you will just have to drink more water to help with the dry mouth and for the constipation you have to increase your fiber intake either by eating more vegetables or by using sugar-free Metamucil MiraLAX. After all of this is finished you will then be scheduled for follow-up consultation which usually will be in about four weeks or so. Then when you are at the body weight that the surgeon designated as your safe body weight for surgery you will then probably have your bariatric weight loss surgery. There are several different types of weight loss surgeries now. The surgeries are "gastric band surgery", "gastric bypass" and "sleeve gastrectomy". Each of these surgeries change your internal organs in a different way but the end goal is for you to lose fat and body weight. The gastric band is actually a band that wraps around your stomach and divides the stomach into pouches. They actually wrap the band around the upper part of your stomach and they create a very small pouch that holds about a half cup of food. Now of course the other half of your stomach is a much larger lower stomach. Now what controls how much food that you were able to eat and the length of time that it actually takes for this food to leave your stomach is normally controlled by the amount of band tightness. With the gastric bypass surgery the surgeon will create a tiny stomach pouch and he will attach a part of your small intestine directly to the pouch. In doing this food will actually bypass a part of your small intestine. With the gastric sleeve or sleeve gastrectomy surgery the surgeon will actually make a vertical sleeve of the stomach using Ace tabling device. This reshapes your stomach to us to leave that is about the size of the banana. The rest of the stomach is surgically removed. Now you may by wondering how all of this helps you to lose weight. And now I'm going to tell you how. The gastric band surgery actually reduces the amount of food that you can eat at one time because the procedure actually created a very small stomach pouch where the food will enter. Because of this you will actually feel full sooner and hopefully you will stay full longer. Since you are eating so much less food, your body will finally stops storing all of the excessive calories that you will normally eat and start using your body fat for fuel and energy. With the gastric bypass because a smaller stomach is created, this will also limit the amount of food that you can eat at one time. So again the goal is to have you feeling full sooner and to remain full longer. Because the surgery will have the food you are eating bypass a portion of the small intestine your body will absorb fewer calories. Since you are eating less with this procedure, your body will stop storing excess calories as fat and with this procedure also your body will start using its fat for energy and fuel. The sleeve gastrectomy also creates a smaller stomach pouch and again this will limit the amount of food that can be eaten at one sitting. And as with the other two surgical procedures the goal of this procedure is to have you eat less, feel full much sooner and stay full longer. And just like the other procedures because you were eating less food your body will stop storing all of those excess calories as fat in your body will finally be able to utilize and access his own fat for fuel and energy. The gastric band does not usually affect normal digestion in any significant way. It really doesn't affect absorption as well. Food will pass through the digestive tract in the usual way and this will allow all of the food to be fully absorbed by the body. The gastric bypass does reduce the amount of calories that are absorbed by the body. With the gastric sleeve surgery in normal digestion and even absorption art significantly affected. The food you eat will pass through the digestive tract in his usual fashion and this will allow the food and its nutrients to be fully absorbed in the body. With any of the surgeries the goal is to reduce the amount of food that you eat, make you feel full much more quickly and keep you feeling full longer than normal. This means that you will actually be eating much smaller portions then you would normally eat. So your portion size are going to be significantly reduced. With this in mind you must realize that for the rest of your life you are going to have to eat smaller portions in order to maintain the weight loss and be healthy. The surgeries can usually be done by making a large incision in the abdomen or by making small incisions for a laparoscopic technique.. It is important to remember that if you choose one of the surgeries that remove your stomach it is not reversible it is gone forever. Medical Weight Loss makes losing weight easier than you think.